The journey of entrepreneurship, though rewarding in some aspects, can be one of the most psychologically draining experiences one may ever face. According to today’s status quo of existence, the perception of corporate anxiety is well known, supported and actively spotlighted that ascension of the corporate ladder is a dream fully realized. Is the same ecosystem available to entrepreneurs? No. It is the complete opposite. Our culture idolizes successful entrepreneurs and expects that they use their psychological lows to fuel their innovations and breakthroughs. Furthermore, they are expected to display mockery of their struggles to prove perseverance and inspire the next wave of entrepreneurs and transform industry paradigms. Yet this societal expectation comes at a price- a price tag that only entrepreneurs pay with their mind. In an article by Inc magazine titled The Psychological Price of Entrepreneurship, “entrepreneurs often juggle many roles and face countless setbacks -lost customers, disputes with partners, increased competition, staffing problems- all while struggling to make payroll.” There are traumatic events all the way along the line, and it impacts their mental health. With this reality, it brings us to question the mental condition of social entrepreneurs. Unlike an entrepreneur who solely focuses on a market opportunity and a business model that monetizes that opportunity, social entrepreneurs have to go a step further and do all of this while running a fine line between profit success and social impact. Their pathway is more complicated than that of a typical entrepreneur and as a result, will have more intense moments of psychological distress. In this article, we address three key reasons why the path of social entrepreneurship is a tougher path, and ways to overcome them. We all know that one of the most fundamental indicators of business success is access to capital. But who has access to this capital supply? There are countless headlines of idiotic companies with trivial value propositions that are raising millions of dollars in Silicon Valley. While these companies bask in their pool of venture capital dollars, social entrepreneurs tackling critical societal challenges struggle to get a mere couple thousand in seed to launch their solution in places that need it most. Many say that over time, the investment community will catch up and start funding social enterprises the same way they fund tech startups. But don’t get your hopes up- and here is why. For one, social entrepreneurs face a major dilemma when it comes to success. They are consistently balancing social returns that generate an impact with social profit that ensures sustainability and growth. This balancing act is reflected in the numbers and sometimes glaringly so. If they make too little returns, investors perceive the project as a charity or non-for-profit based endeavor with a non-lucrative future. If they make too high returns, than credibility is questioned as to whether the project is truly focused on social impact. An investor often takes a step back to avoid future reputational risk and liability. Thus, as a social entrepreneur, you’re left in the middle of a room fuming because of the hypocritical cycle of this repetitive process. The solution is not easy, but it is the most candid advice you will need to get started. First- stop talking to investors, period. You already have enough on your plate as is and educating a typical investor on the definition of social enterprise and why they need to understand the hybrid model of social impact and business profit is a waste of time and energy. Approach the status quo players such as grant programs, crowd funding platforms and conferences focused on social impact. These are the places where you can get free capital, network amplifiers and gain the support of heartfelt influencers. When you prove traction, appeal particularly to impact investors who focus on social enterprises. Look at Social Earth’s 130 Ways to Fund Your Social Venture report and attend the annual SOCAP conference to meet the right people to fund your company. Take it a step further and compete for grand challenge prizes. There is a movement afoot to fund solutions that ensure global impact and million dollar platforms like the Chivas Venture, Hult Prize, X Prize and Verizon Powerful Answers Awards are just the beginning line up for funding pools that launch the next wave of social entrepreneurs. In short, traction can be viewed as sales, user base growth, partnerships and other metrics of progress. For a social entrepreneur, your traction has one more layer of scrutiny- that of social impact metrics. The problem is that many times, social impact is an intangible output that cannot be quantified. It is your job to figure this out quickly. While charities and NGOs can lead with anecdotal stories, the bar is set high for social enterprises. Heartfelt stories are not enough to prove success. Furthermore, the concept of “reach” is not enough either. For example, a company would say that in just one year, 100,000 women of Syria took our educational skill courses and are now empowered to get jobs to support their families. In the past, this company would get prizes and press buzz for reaching so many people in such little time. Not anymore. The first question would be, of those 100,000, how many actually landed a job based on what they learned? If your answer is 10- well, that is a starkly different story then the first one. As a social entrepreneur, you are constantly balancing sales, user base growth, social reach and social outcomes. With the added scrutiny of stakeholders, it really keeps you up at night to know that just reporting the numbers isn’t enough. The numbers have to inspire your investors, partners and beneficiaries. The solution is to know your main indicators of success early on. Your initial KPIs will be a key element of focus, so know them well and constantly think of ways to measure the intangibles. There are numerous resources available now to measure actual Social Return on Investment (SROI). Seek them and implement immediately. Entrepreneurs have many idols to follow, such as Elon Musk, Steve Jobs, Richard Branson and Oprah Winfrey to name a few. Where is the long idol catalogue of social entrepreneurs? Many credit Muhammad Yunus to be the sole name that social entrepreneurs can readily identify and relate to today, but we need more successors to inspire social entrepreneurs during the low moments in the journey to success. And many believe you can find these leading figures at niche social impact communities and programs. Talking with the right people who have the expertise, social history and connections to catapult your solution forward is a critical action that you need to actively do. In the past, your main options were well-known NGOs or charity forums; today, you have a unique wave of players. There is a premium dozen of names that support, empower and amplify the impact of social entrepreneurs. Check out the websites and initiatives at organizations like Acumen, Ashoka, Skoll Forum, the Clinton Global Initiative, the United Nations, Impact Hub, World Economic Forum, Unreasonable Institute, Singularity, etc. In all, the path of entrepreneurship is difficult, and for social entrepreneurs, it is even more challenging. 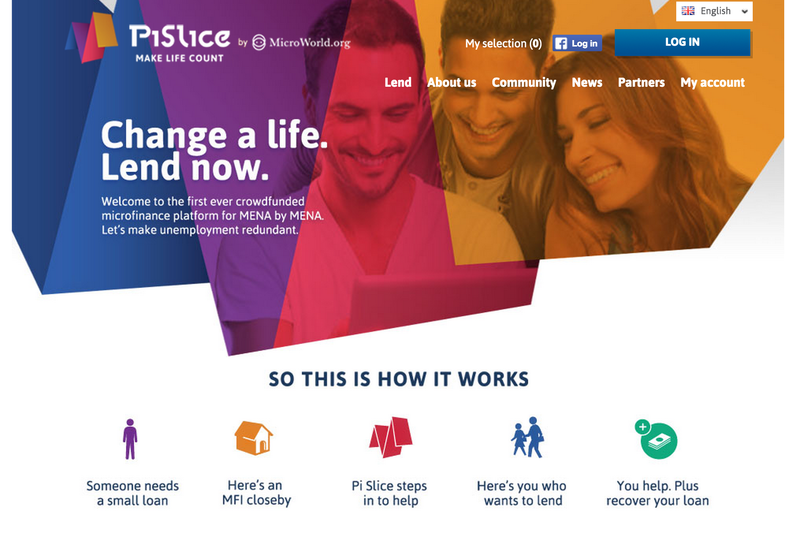 A social enterprise startup like Pi Slice is seen by many as the success story of the Middle East- it is cited in hundreds of magazines, newspapers, research papers and forums. The platform is partnered with major brand names and is destined to impact the lives of millions in developing countries. Awesome, right? Well, if you take a closer look at the two-year development of Pi Slice, I can honestly tell you that it was one of the greatest tests of resilience that I have ever endured. From the constant pitching for funding, to the repetitive cycle of praise, to the stark reality that only a few will consider funding such a powerful enterprise- my journey has been one of many social entrepreneurs: praised for the promise they bring, but unsupported in securing the capital and platforms needed to make it a reality. The psychological toughness needed to be a social entrepreneur can’t be taught. It has to be lived. Only individuals who are deeply passionate about the challenge they aim to solve combined with a personal connection to the issue itself will persevere and truly make an impact on the world.